Friday was the tenth anniversary of The PopCult Blog, written by Rudy Panucci. Every hour, on the hour (sort of), we brought you one of our favorite posts from the preceding decade. When we got done, we decided to give you a few more, just for the hell of it. Enjoy! Our last bonus “best of” post will also stand in for the RFC Flashback this week. We’re flashing back to a flashback from 2013. This is so meta that you may need to take some Metamucil. Thank you for sharing our tenth anniversary with us, and for wasting your time reading this blog. 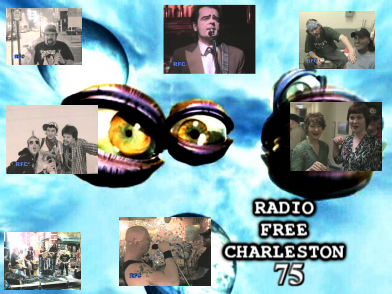 In today’s RFC Flashback we revisit our 75th episode! “Unknown Hinson Shirt,” our third-anniversary Rock And Roll Extravaganza. 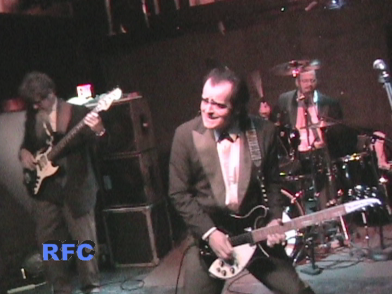 This landmark edition of RFC features music by The Pistol Whippers and Unknown Hinson, both legends of honky-tonk psycho-billy stage. We also have a snippet of Princeton’s Option 22 over the end credits. With this being our third anniversary, we took it upon ourselves to corner a few really cool people with our camera to get them to say nice things about us. Among those who weren’t quick enough to escape are Ann Magnuson, Necrobutcher (featured in the OSCAR-nominated movie “The Wrestler”), wrestling legends Gypsy Joe and Bull Pain and GWAR’s front-man, Oderous Urungus. The really cool thing is that it looks like we recorded Necro and Gypsy Joe in the same place we recorded Ann. Host segments were shot in and around the late and lamented LiveMix Studio during their Fourth Of July party. How could we not include our old friends and allies at LiveMix in the celebration? Of note is that the two featured artists in this episode have huge shows coming up locally, more than four years later. The Pistol Whippers will reunite once again for the annual Halloween Hootenanny at The Empty Glass on November 2. Unknown Hinson. The King Of Country Western Troubadours, will take the stage at The Ve Club on october 26. We will be reminding you of both of these shows as they draw near. Another note about this show: Whenit was originally posted I was not happy with the audio during the Unknown Hinson song, “Peace, Love and Hard Liquor.” It was muddy and out of sync. While remastering this show, I took the opportunity to tinker with it further and while it’s far from perfect, it’s much better than it was. The original production notes for RFC 75 can be found right here.